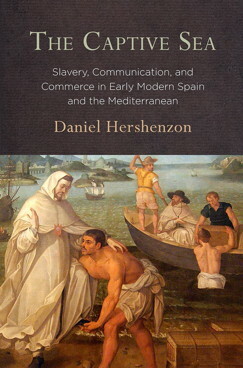 Congratulations to affiliated faculty member Professor Daniel Hershenzon on the recent publication of The Captive Sea: Slavery, Communication, and Commerce in Early Modern Spain and the Mediterranean (University of Pennsylvania Press). 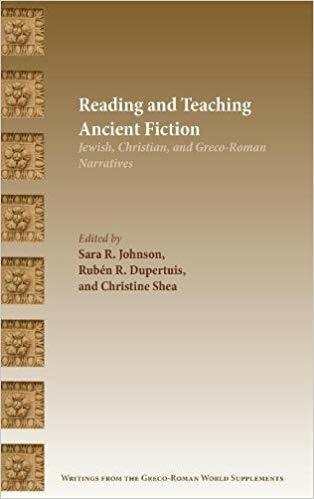 Congratulations to Associate Professor of Classics and Mediterranean Studies Sara Johnson who recently co-edited Reading and Teaching Ancient Fiction: Greco-Roman, Early Jewish, and Christian Narrative. The volume, co-edited with Ruben Dupertuis and Christine Shea, was published by the Society of Biblical Literature Press and represents their third volume of research on ancient fictions. This volume includes essays presented in the Ancient Fiction and Early Christian and Jewish Narrative section of the Society of Biblical Literature. Contributors explore facets of ongoing research into the interplay of history, fiction, and narrative in ancient Greco-Roman, Jewish, and Christian texts. The essays examine the ways in which ancient authors in a variety of genre and cultural settings employed a range of narrative strategies to reflect on pressing contemporary issues, to shape community identity, or to provide moral and educational guidance for their readers. Not content merely to offer new insights, this volume also highlights strategies for integrating the fruits of this research into the university classroom and beyond. Laura Quick, Princeton University, in a review in Bryn Mawr Classical Review notes, "there will be much of interest here to students and scholars of Hellenistic and Roman literature. The joint goal of the project, both pedagogical as well as research-oriented, is an interesting take on the edited volume, making an important contribution to both the classroom and to our understanding of the various ancient texts under discussion. Indeed, many of the contributions reveal unexpected features in the various narratives, demonstrating the cogency of reading Jewish, Christian, and Greco-Roman literature in dialogue." Read the full review here. 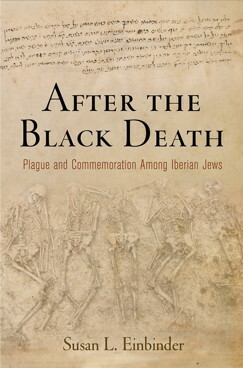 Many congratulations to our colleague Susan Einbinder whose book After the Black Death: Plague and Commemoration Among Iberian Jews was recently released. 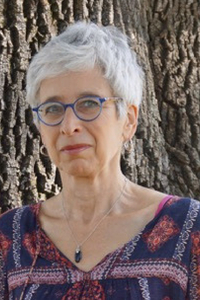 Professor Susan Einbinder (Hebrew and Judaic Studies and Comparative Literature) will be teaching "The Black Death" and "The Jewish Middle Ages" in the upcoming fall semester. A few seats are still open for both classes. This is a great opportunity to study with one of the leading scholars in the field. In After the Black Death, Susan L. Einbinder uncovers Jewish responses to plague and violence in fourteenth-century Provence and Iberia. Einbinder's original research reveals a wide, heterogeneous series of Jewish literary responses to the plague, including Sephardic liturgical poetry; a medical tractate written by the Jewish physician Abraham Caslari; epitaphs inscribed on the tombstones of twenty-eight Jewish plague victims once buried in Toledo; and a heretofore unstudied liturgical lament written by Moses Nathan, a survivor of an anti-Jewish massacre that occurred in Tàrrega, Catalonia, in 1348. Through elegant translations and masterful readings, After the Black Death exposes the great diversity in Jewish experiences of the plague, shaped as they were by convention, geography, epidemiology, and politics. Most critically, Einbinder traces the continuity of faith, language, and meaning through the years of the plague and its aftermath. Both before and after the Black Death, Jewish texts that deal with tragedy privilege the communal over the personal and affirm resilience over victimhood. Combined with archival and archaeological testimony, these texts ask us to think deeply about the men and women, sometimes perpetrators as well as victims, who confronted the Black Death. As devastating as the Black Death was, it did not shatter the modes of expression and explanation of those who survived it—a discovery that challenges the applicability of modern trauma theory to the medieval context. 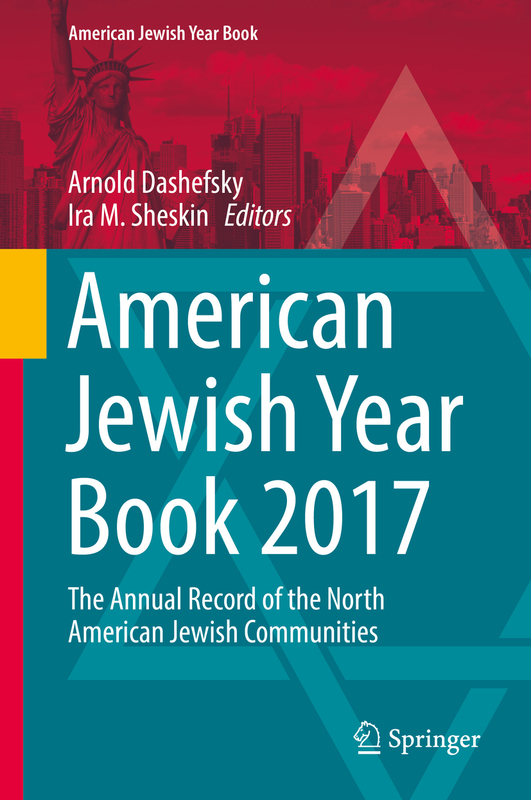 The 2017 volume of the American Jewish Year Book, published by Springer and supported by the Center for Judaic Studies and Contemporary Jewish Life at the University of Connecticut and the Miller Center for Contemporary Judaic Studies at the University of Miami, has recently been released. Included in this volume of the annually published Year Book are topical review articles, population studies, and extensive lists detailing the numerous North American Jewish institutions, periodicals, academic resources, and major events. “The Jewish Place in America’s Religious Landscape” by Alan Cooperman and Becka A. Alper of the Pew Research Center examines the similarities and differences between Jews and other religious groups in the US in terms of demographics, religious beliefs and practices, and political views. The authors find that while Jewish retention rates remain high, other religious groups in the US are seeing a rapid rise of disaffiliation rates. According to the authors, "overall…American Jews as a whole appear to be relatively stable as a share of the overall US population, though likely growing in absolute numbers. Furthermore, based on the demographic characteristics of Orthodox Jews briefly discussed here and in the 2013 report, 'A Portrait of Jewish Americans,' the share of Orthodox Jews may be growing as a percentage of the US Jewish community. As such, the profile of American Jews could shift somewhat, particularly in regards to religious beliefs and practices, social and political views, and demographic characteristics." Bruce A. Phillips of Hebrew Union College-Jewish Institute of Religion, Los Angeles, thoroughly investigates one of the most controversial and important topics in the Jewish community today in “Intermarriage in the Twenty-First Century: New Perspectives.” The debate over in-reach/outreach is explored, and multiple approaches, from the sociological to the economic, are used to examine the behavior. Phillips challenges "the 'damage assessment' narrative by finding that the percentage of Mixed Ancestry respondents who identify as Jewish in any way has actually increased from childhood to adulthood. Beyond the impact of Jewish socialization experiences" Phillips argues "that this phenomenon is influenced by larger trends in American society in which mixed race identities are increasingly accepted and even embraced. Single Ancestry respondents are apparently finding ways to explore their Jewishness outside of religion. Given that Mixed Ancestry will be the norm as Jewish children become adults, learning more about how they identify both through quantitative and qualitative research, particularly in the context of the newly emerging sub-field of 'mixed race studies,' should be a priority for the sociological study of American Jewry. Such a conclusion points to the valuable insights gained from contemporary social science research in understanding the trajectory of the future of American Jewish life." Two year-in-review articles focus on US affairs and the international arena. Both examine the implications of a Trump presidency with Miriam Sanua Dalin (Florida Atlantic University) exploring the topic through a domestic lens: "The tensions within the American Jewish community that became more apparent in the struggles over the Iran Deal and the presidential election of 2016 remain and continue to divide American Jews within families, friendship circles, congregations, and community organizations. How these internal conflicts are managed in the coming years bears further scrutiny." Mitchell Bard (The American–Israeli Cooperative Enterprise) assesses the implications for US-Israel relations: "In Washington’s toxic partisan environment, Republicans and Democrats found at least four issues on which they could agree, all related to Israel; first, strengthening the US-Israel relationship; second, taking a stand against UN bias against Israel; third, opposing boycotts of Israel; and, fourth, imposing new sanctions on Iran." Chapters on population studies for the United States, world Jewry, and Canada provided by Ira Sheskin and Arnold Dashefsky, Sergio DellaPergola, and Charles Shahar round out the review articles. Based on an aggregation of over 900 local estimates, the US population article by Sheskin and Dashefsky estimates the Jewish population at 6.85 million while DellaPergola estimates it at 5.7 million and provides a world Jewish population of 14.5 million. Differences in defining the criteria an individual must meet to be counted as Jewish account for the varying figures. Since the US census does not ask a question on religion, relying on sample surveys provides multiple estimates of the US Jewish population. The corresponding Canadian population figure, based on the 2011 census, is 391,665. Since 1899, the Year Book has served educators, scholars, lay leaders, and members of the Jewish community as an inestimable resource that preserves an invaluable annual record of North American Jewish life. Thousands of chapter downloads from the publisher’s website attest to the endurance of its legacy. According to Springer, for the 2012-2017 volumes, 25,100 chapters were downloaded. In addition, Google found about 439,000 references to the Year Book; Google Scholar found 6,350 references in the scientific literature; and Wikipedia has 283 references to the Year Book. Judaic Studies affiliated faculty member Professor Frederick Roden will be discussing his latest book, Recovering Jewishness: Modern Identities Reclaimed (Praeger 2016) at a Book Talk sponsored by the UConn English Department. 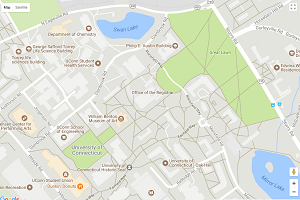 The event takes place on May 3, at 1:30 pm, in the Stern Room, Austin Hall. Also presenting at the Book Talk will be Professor Patrick Hogan who will discuss his latest work, Imagining Kashmir: Emplotment and Colonialism (University of Nebraska 2016). 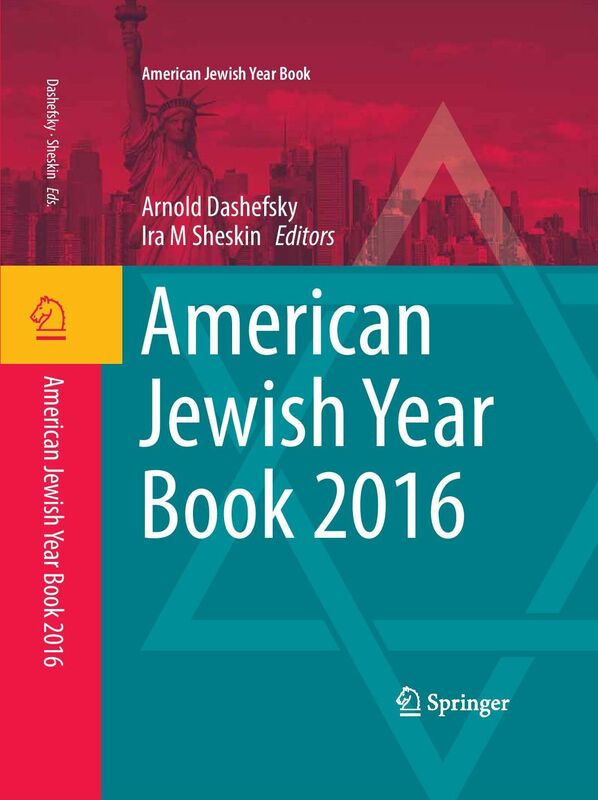 The 2016 volume of the American Jewish Year Book, co-edited by Professor Arnold Dashefsky of the University of Connecticut and Professor Ira Sheskin of the University of Miami, has been recently published by Springer. 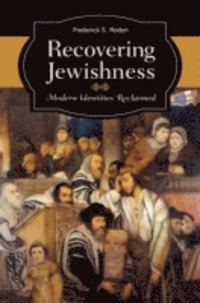 The publication is supported by the Center for Judaic Studies and Contemporary Jewish Life as well as the College of Liberal Arts and Sciences at the University of Connecticut and the Miller Center for Contemporary Judaic Studies and College of Liberal Arts and Sciences at the University of Miami. Included in this volume of the Year Book is the 2015 Pew Report on Orthodox Jews, “A Portrait of American Orthodox Jews,” as well as a response to the report from nine distinguished scholars and a rejoinder by Pew researchers. Despite the various sub-sects within the growing Orthodox community, Pew’s data find that politically and religiously, as a whole, the group more resembles white Evangelical Protestants than other Jewish groups based on the importance of religion in their lives and in that they are more likely to identify as more politically conservative than other Jews and are more than three times as likely to identify or lean Republican than other Jews. If the divide between liberal and conservative Jews grows, significant policy implications in communal and political life could develop. Unless dialog is cultivated and maintained across the spectrum of Jewish groups, a fractured community could come to distrust those with opposing views; and intolerance of differing viewpoints could be fostered, mirroring what we have recently seen in the wider American culture as the 2016 presidential election and its aftermath demonstrated. Since 1899, the Year Book has served educators, scholars, lay leaders, and members of the Jewish community as an inestimable resource. Featuring chapters from eminent scholars on North American Jewish life as well as extensive lists detailing the numerous North American Jewish institutions, periodicals, academic resources, and major events, the Year Book preserves an invaluable annual record of Jewish life. The 2016 volume includes topical articles on international affairs by Mitchell Bard, which summarizes and relates yearly events through the lens of the American-Israeli relationship, and an article on the diverse dimensions of American Jewish family life by Harriet Hartman. 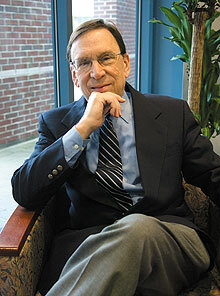 Population studies for the United States, World Jewry, and Canada are provided by Ira Sheskin and Arnold Dashefsky, Sergio DellaPergola, and Charles Shahar, respectively. 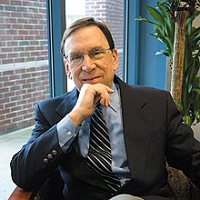 Center Director Jeffrey Shoulson recently wrote an essay titled “Liberating the Conversation on Academic Freedom.” This essay is part of the Directors’ Forum in the AJS Perspectives, a bi-annual publication of the Association for Jewish Studies. The theme of this issue’s forum was Academic Freedom. Center Direct Jeffrey Shoulson contributed to the November 2016 issue of AJS News, which focused on the topic of contingent faculty. 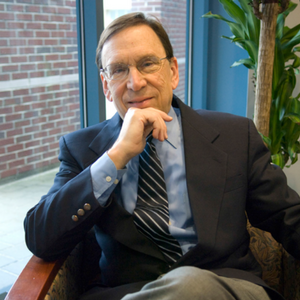 In On Contingent Faculty, Professor Shoulson considered the role of non-tenure-track faculty in the university system and specifically within Jewish Studies programs and predicted that the reliance on contingent faculty would continue to increase as fiscal pressures persist in constraining university spending. 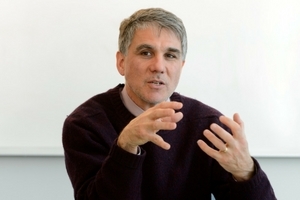 Professor Shoulson discussed the ways contingent faculty members can be supported by their programs and departments and expressed the hope that standards of pay and benefits would rise. Read the full article here. 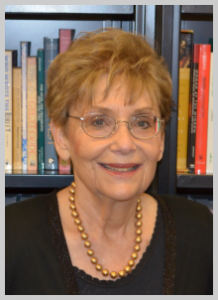 Congratulations to Dr. Nehama Aschkenasy, director of the Center for Judaic and Middle Eastern Studies at UConn, Stamford, for her recent contribution, “Reversing the Aqedah: The Biblical and the Mystical in Grossman’s ‘To the End of the Land'” in The Bible Retold by Jewish Artists, Writers, Composers, and Filmmakers, edited by Helen Leneman and Barry Dov Walfish and published by Sheffield Phoenix Press! Helen Leneman and Barry Dov Walfish, both specialists in biblical reception history, have compiled an unusually rich collection of new essays by experts in their fields. 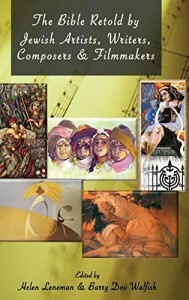 This book is a pioneering attempt to portray and analyse the visions of twentieth- and twenty-first century Jewish artists working in different media—visual art, literature (novels, poetry and short stories), music (opera, oratorio and song), and film—who have retold biblical narratives through their art. Reading these essays together will bring a new appreciation and understanding of what makes the perspective of these visual artists, writers, composers and filmmakers on the Hebrew Bible uniquely Jewish. All of these Jewish visions can be considered a form of modern midrash, as the artists imaginatively fill in gaps in the biblical narrative, bringing a modern sensibility to the meanings of the stories. These retellings, analysed and discussed by the authors of this ground-breaking volume, will stimulate the reader to view the texts in new ways or to confront their challenge to personal or traditional interpretations of those texts. 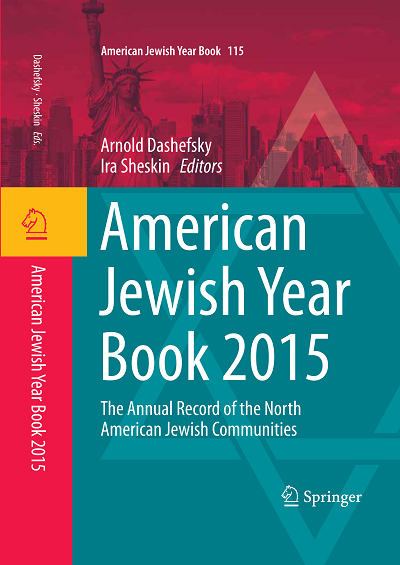 The 2015 volume of the American Jewish Year Book, produced by Springer and supported by the Center for Judaic Studies and Contemporary Jewish Life at the University of Connecticut and the Center for Contemporary Judaic Studies at the University of Miami, will be released in the coming weeks. Included in the Year Book are the regular chapters on US and world Jewish population stat istics, this year with some surprising findings. Of note, Sergio DellaPergola, in reporting on his world Jewish population studies, argues that Israel’s Jewish population has outnumbered that of the United States, the largest Diaspora community. 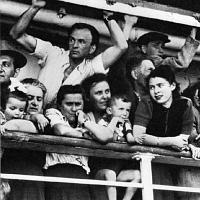 DellaPergola argues that Israel’s rapid Jewish population growth has overtaken the US’s more stable growth and estimates that Israel’s Jewish population has reached 6.2 million and the US population 5.7 million. However, as DellaPergola points out, “Israel’s Jewish population faces a significant demographic challenge with its gradually diminishing majority status vis-á-vis the Palestinian Arab population who live within the boundaries of the State of Israel as well as on the whole territory between the Mediterranean Sea and the Jordan River.” In fact, according to DellaPergola, the enlarged Jewish population represents a bare majority (52.1 %) of the total population living between the Mediterranean Sea and the Jordan River. The research findings of population studies reported in the Year Book have broader implications in terms of policy and Jewish community planning. One thing that can be agreed upon, is that due to Israel’s higher fertility rates, younger Jewish population, and increased immigration, the population in Israel will continue to increase while the US Jewis h population is expected to remain more stable due to higher intermarriage rates and an aging population. The Year Book, since 1899 with a brief interruption from 2008-2012, has served educators, scholars, lay leaders, and members of the Jewish community as an inestimable resource. Featuring both chapters from eminent scholars on North American Jewish life as well as extensive lists detailing the numerous North American Jewish institutions, periodicals, academic resources, and major events, the Year Book preserves an invaluable annual record of Jewish life. Regular articles on National Affairs by Ethan Felson, joined this year by Mark Silk, and Jewish Communal Affairs by Lawrence Grossman summarize and relate yearly events. Topical articles specific to this issue include Steven Gold’s chapter on adaptation patterns of US Jewish immigrants while Annette Koren, Leonard Saxe, and Eric Fleisch examine Jewish campus life. Population studies for the United States, World Jewry, and Canada are provided by Ira Sheskin and Arnold Dashefsky, Sergio DellaPergola, and Charles Shahar, respectively.